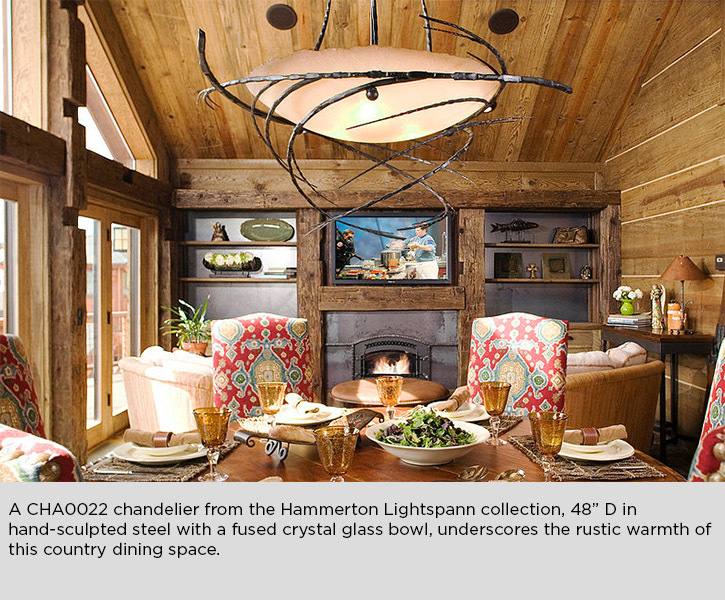 I do love Hammerton lighting. 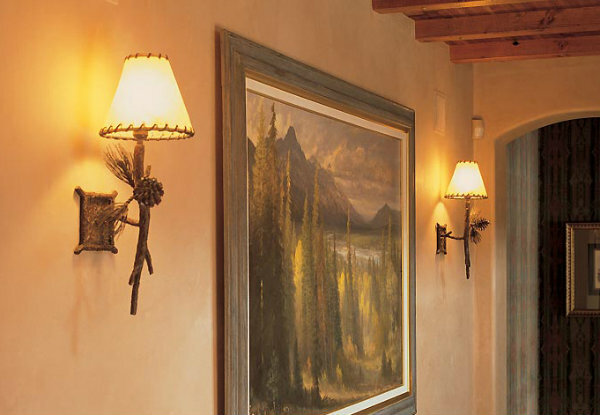 Their Arts and Crafts and Chateau collections are so sophisticated, intricate and beautiful for mountain homes. 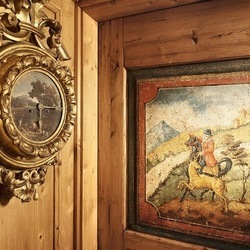 Of course, the log and timber collection with traditional pine branch and cone motifs is always charming in a mountain home (more on this below). But now, the company has moved squarely into contemporary design and has so many gorgeous fixtures for contemporary mountain homes. So much choice...where does one even start? 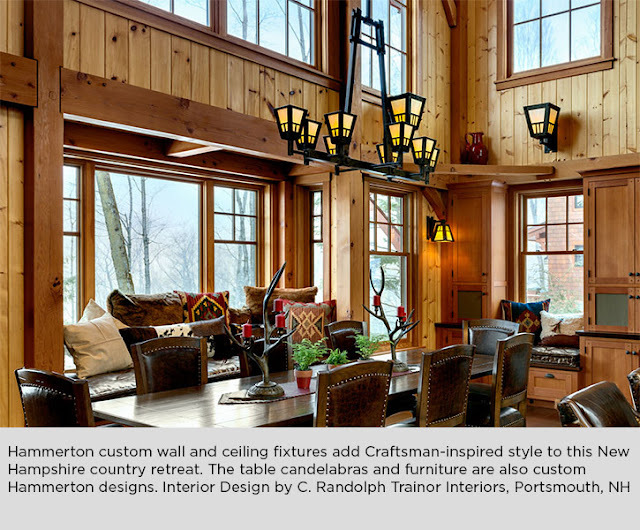 If you love cabin and lodge decorating and you have never seen the Hammerton Log and Timber collection, it's my pleasure to introduce it to you here. 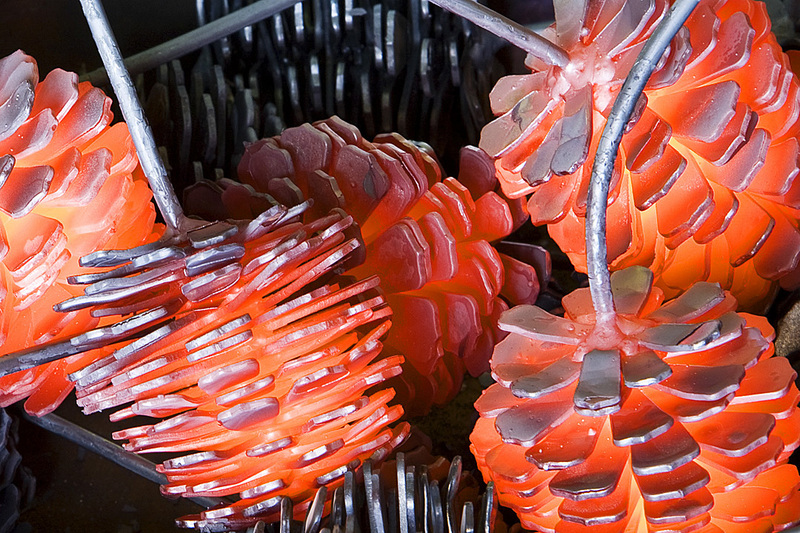 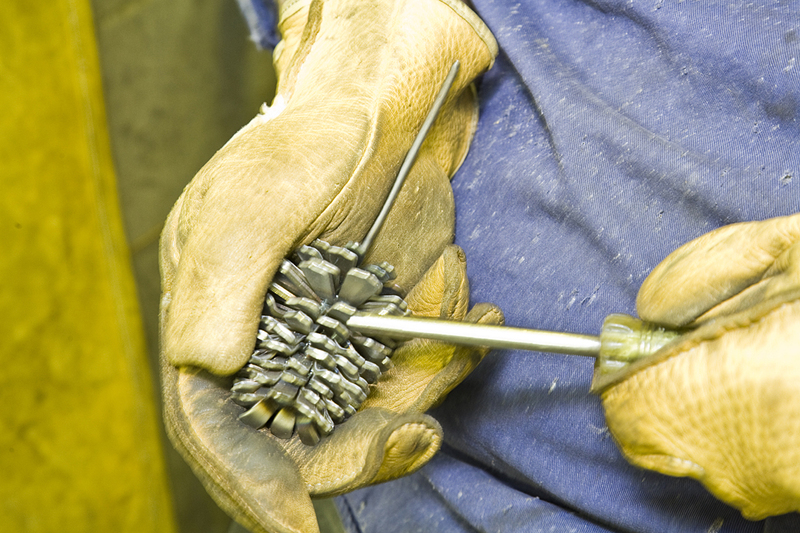 You can really see the quality and handcrafting in this up-close photo. There are other companies knocking off this look, but nobody really is able to do it with this high level of construction. 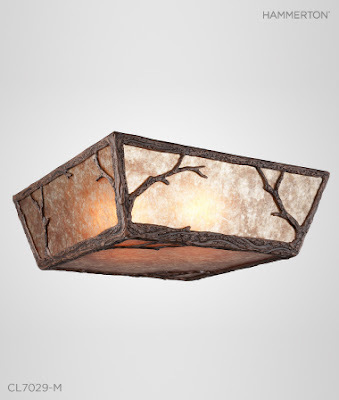 Somehow this fixture, above, manages to be both charming and sophisticated at the same time, avoiding a cutesy cabin look. 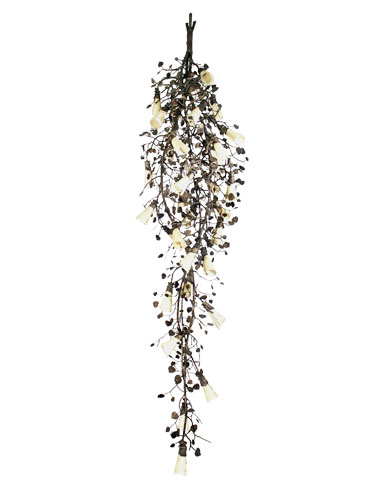 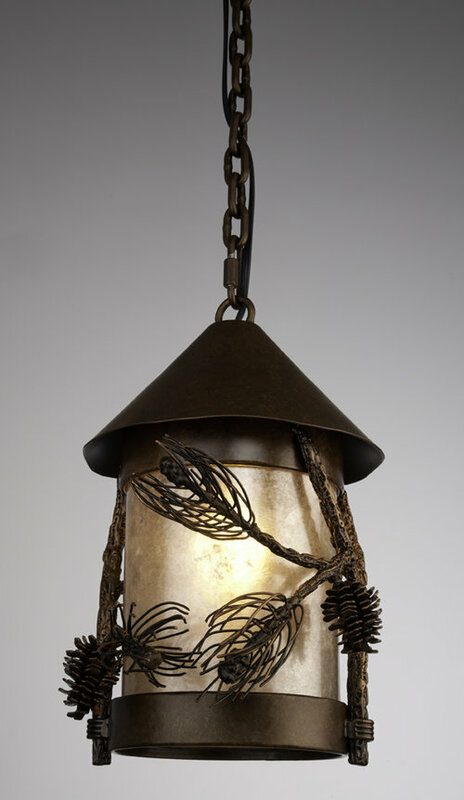 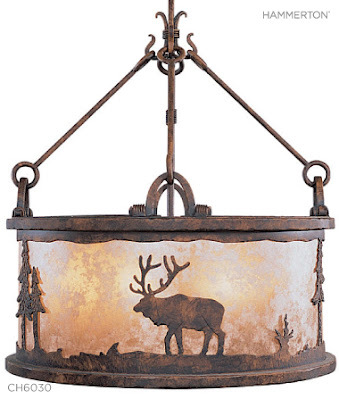 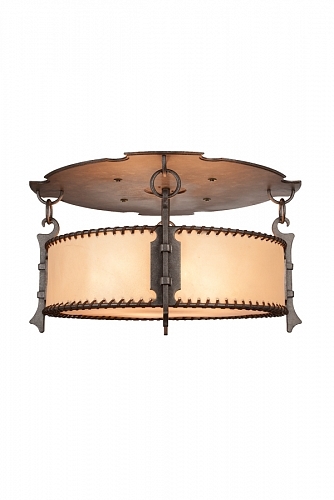 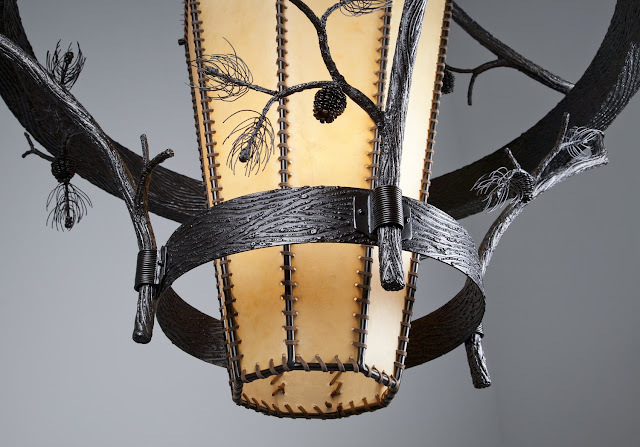 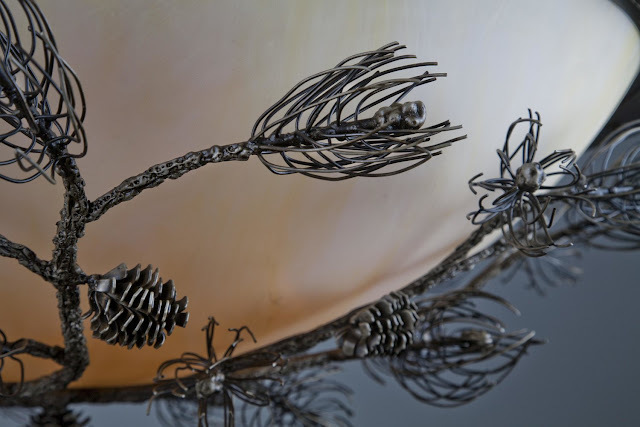 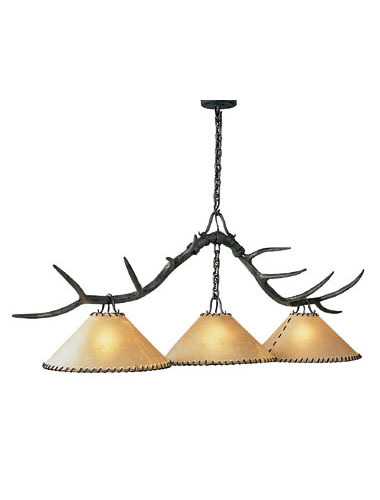 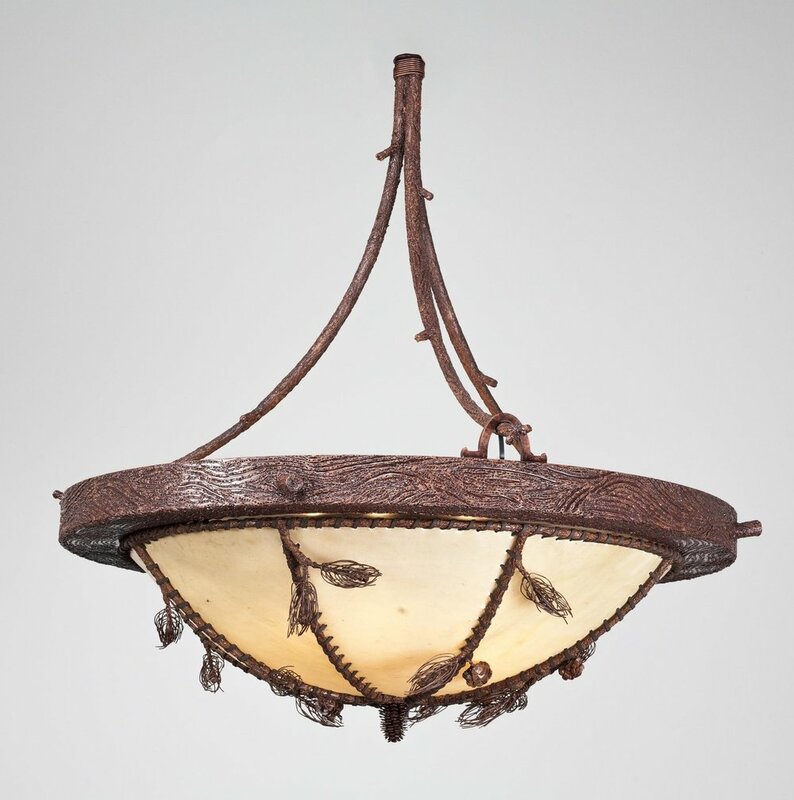 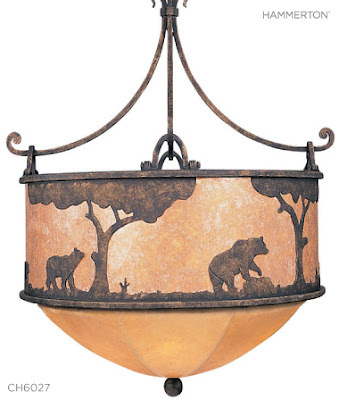 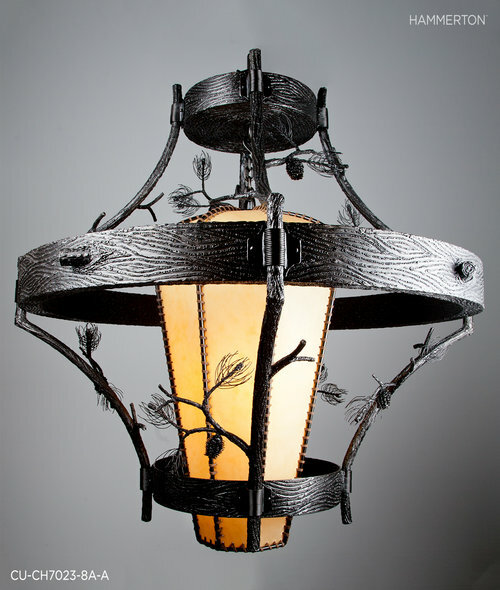 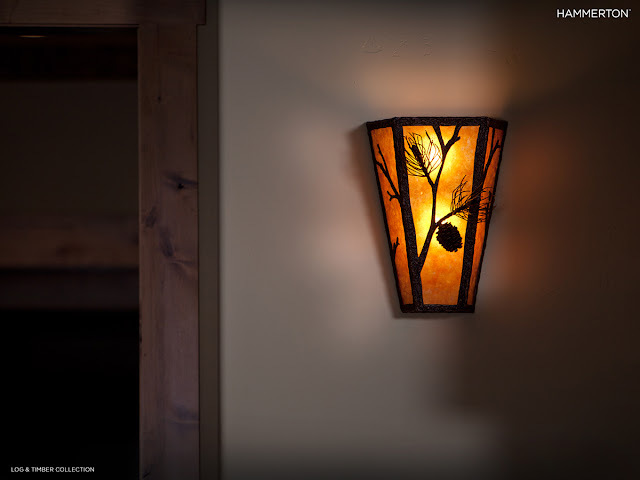 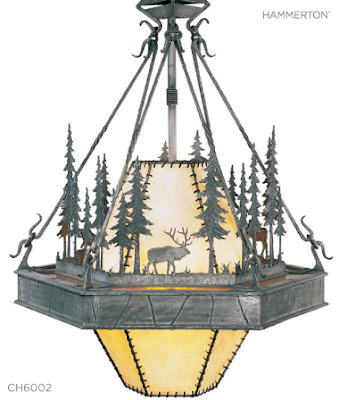 A fixture that would be at home in almost any cabin or rustic lodge, above. A great-looking pendant, above. 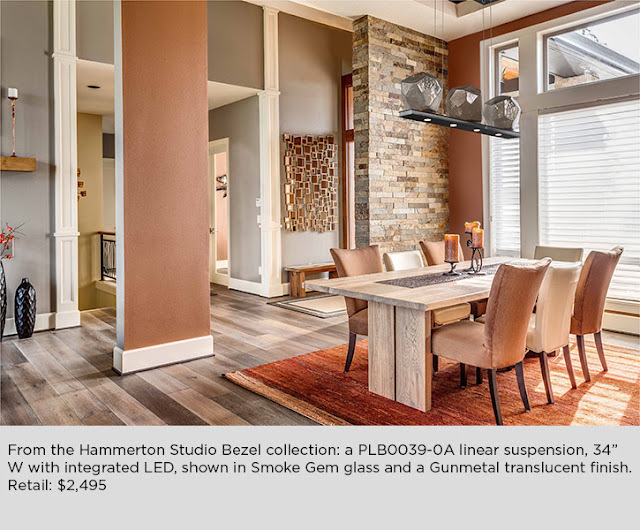 Hammerton has a wide range of lens options, including glass, acrylic, eco-resin, mica, mesh and rawhide. 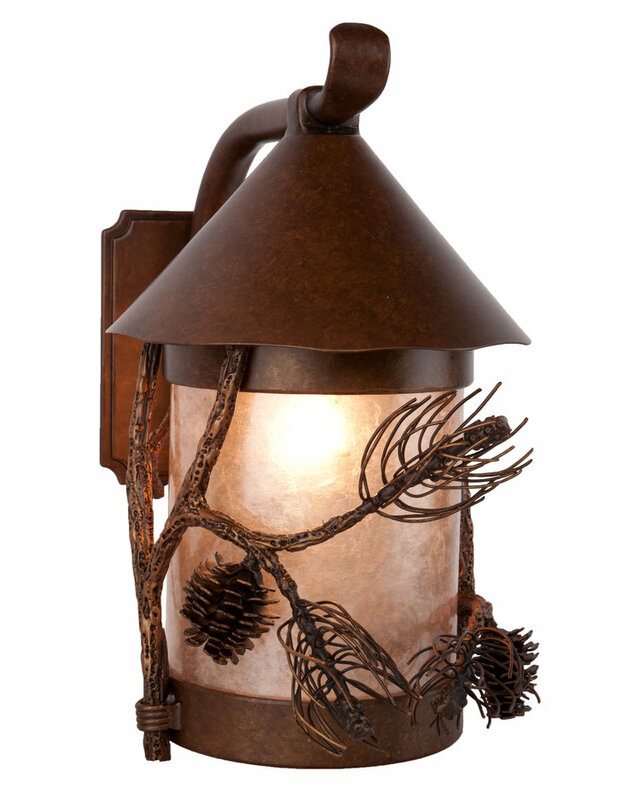 A handsome wall sconce with a nice hefty scale that works in today's modern mountain homes. 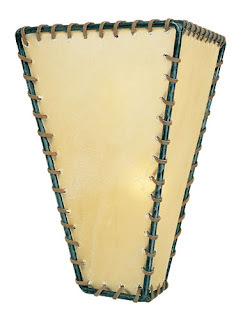 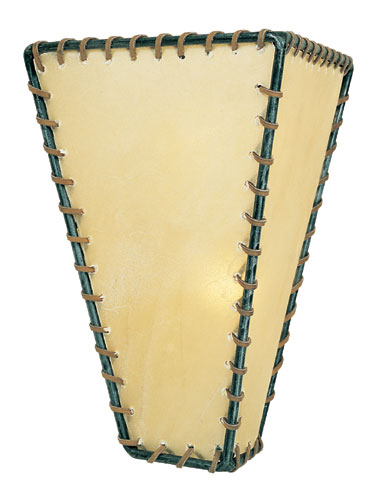 A wonderful outdoor lantern, with a beautiful natural mica shade. 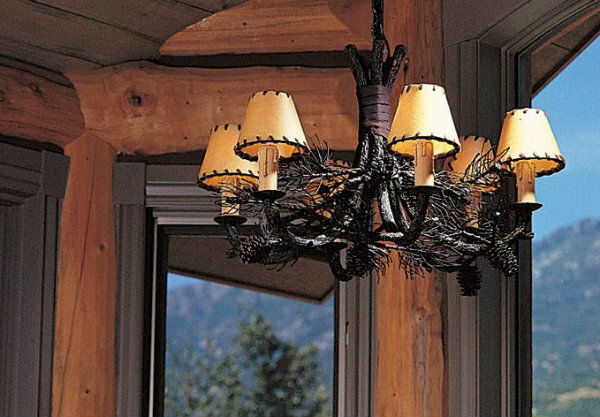 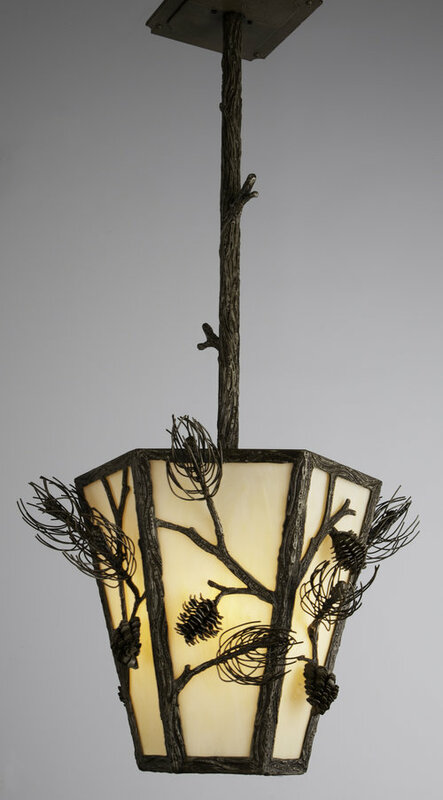 You simply can't go wrong with these lovely twig and pine cone sconces topped with rawhide shades, above. 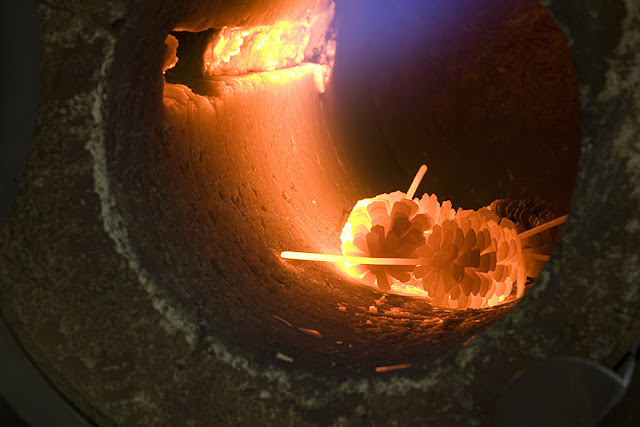 Hammerton can modify any of their fixtures to meet your needs, from changing the size, decorative elements or materials. 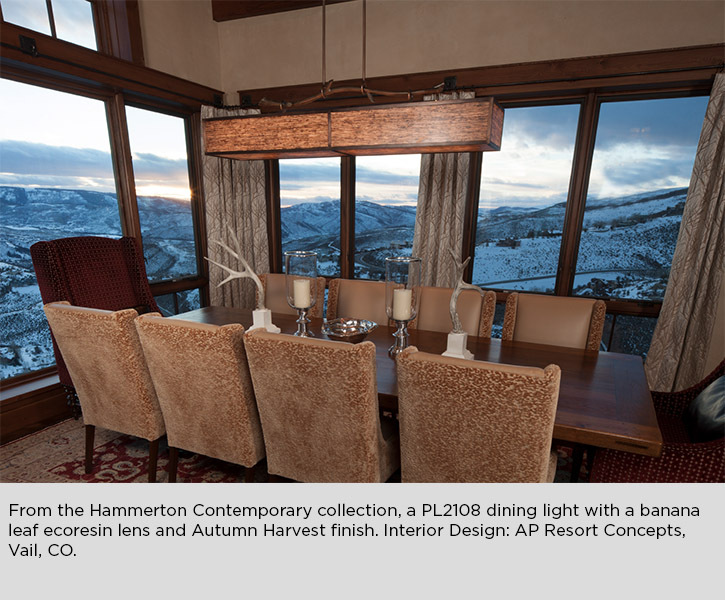 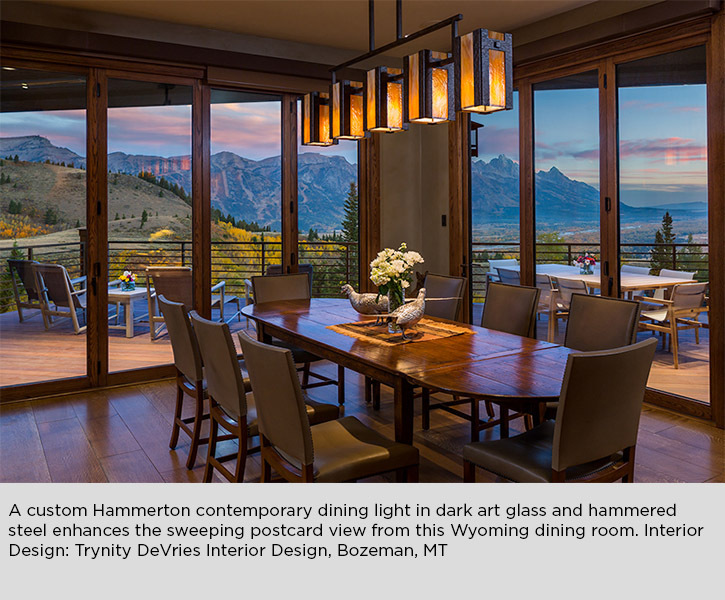 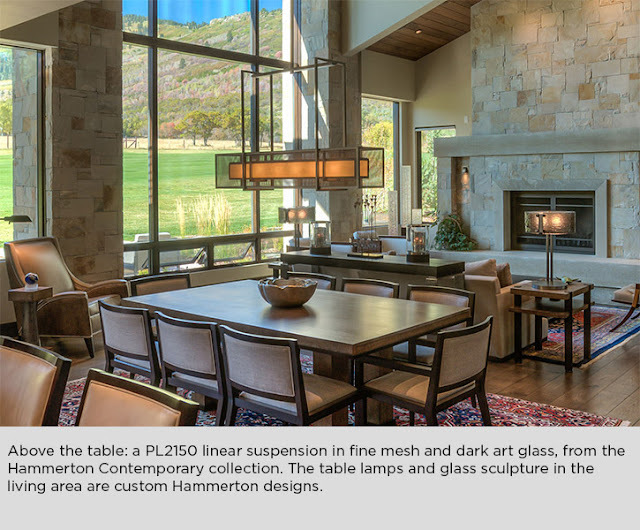 If you are interested in putting some Hammerton fixtures into your mountain house, we'd love to help you create the pieces that are perfect for you. 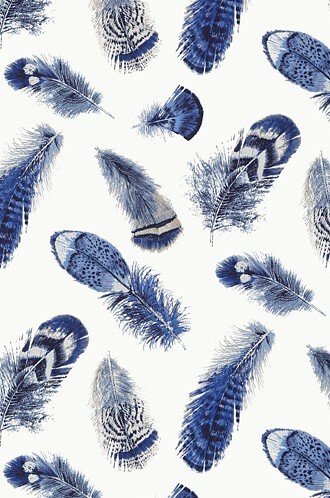 Call for information, quotes and advice. 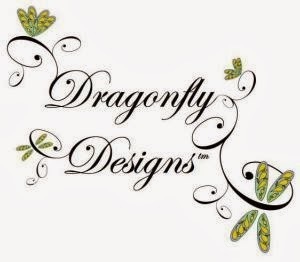 (530) 583-6076 or email dragonflytahoe@att.net.